I’m back with another review and I’m showing a brand that is definitely considered high-end. I have been wanting to try the products in this line but I never felt that I had enough coins. Well, I finally purchased 2 of them but I’ll tell you how this happened but it was definitely not because of a raise at work lol. So for those who missed it, I went a skincare spree at the end of the year and this was THE 1 product that I took the plunge on in my pocketbook. I was hearing and seeing so much about the Tatcha line that I had to get my hands on something and/or anything. 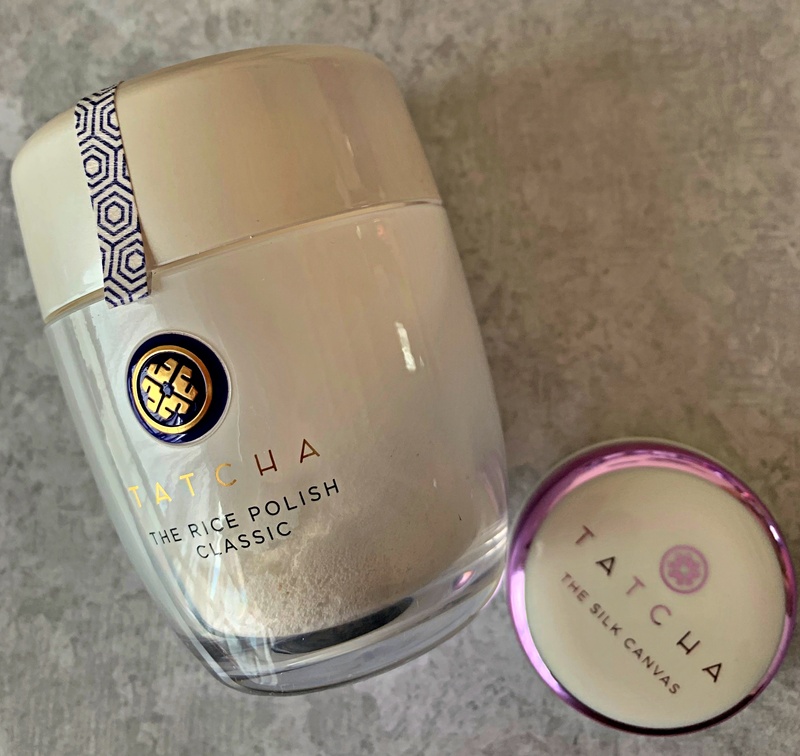 My first purchase was Tatcha: The Rice Polish (Classic). I bought this solely off of a water-activated exfoliant of nourishing Japanese rice bran that transforms into a creamy foam. I had seen a few demos but I wanted to try it for myself. I was able to get this at a percentage off since I bought it during the Sephora sale. Was it worth it? Yes!!! I definitely saw improvement in my skin with consistent use of the product (twice a week). My face definitely let me know it was enjoying all the benefits of this Tatcha product. My overall skin tone and pores improved overall. It doesn’t take much to cover the face, start off with a little. Oh, and I say mix it in a bowl. I tried putting the water in my hand over the rice bran and I almost hollered as I watched it go down the sink. I just thought to myself that had to at least be $10 hahaha I know total exaggeration but it still hurt me. I wish they sold a mini size so I could pay a fraction of the cost and feel like I was winning just a bit. When this first launched in its original size, as much as I had heard nothing but good things, $52 was a no go for me. I draw a line at the price of primers I just can’t. I’m not there yet. Like you want a little more than half a hundred dollar bill, I have to say no. While on my trip in Seattle I was in Sephora looking at the Fenty concealers and setting powders. I made a pit stop by Tatcha and dipped my finger in the primer, shook my head, and said out loud “I can’t do it”. Well, Tatcha must have heard because just as I rounded the corner into the check out line and greeted by all the mini products they want you to stuff your bag with before checkout there it was…Tatcha silk canvas protective primer MINI!!! Before I knew it, it was in my hand and ready to be purchased. This primer has a velvety feel to it that sits on top of the face and not in your pores. It allows for your makeup to glide on easily and not separate later in the day. The ingredients in this primer I believe help with toning down oiliness, clogging of pores, and reducing breakouts. It has been given the Clean Seal by Sephora which also lets you know it is free from sulfates and parabens. I found myself using a lot in the beginning because I was used to doing that with other primers. A dime size amount should cover your entire face. There you have it my review on 2 of the Tatcha products and I’m not disappointed with either. If you had to choose one I’d say to ask yourself where are you trying to improve the most your skincare routine or level up on your makeup skills? Start off slow I sure did lol. I started with the skincare because of the sale and the primer was $20 for the mini size and you only need a small amount to cover your entire face.